Sub-Acute Care: Is This a Solution for Your Recovery? For purposes of this post, the type of treatment under review is the treatment for withdrawal for substance abuse patients. What is Substance Abuse Withdrawal? A series of processes designed to assist those in the first stage of sobriety, to want to stop using unhealthy substances. Done without help, most folks who try and “go cold-turkey” find they cannot get to sobriety or they cannot keep it up. A well-thought out detox program means removing blockades and impediments to the detoxification process. What Options Are There for Detoxification? With the likelihood of detoxification side effects, that depend on the amount and the length of time a substance abuser used alcohol, illegal drugs, and prescription medication, it is no wonder that there is a need for supervised withdrawal. Thanks to the Affordable Care Act and other legislation, substance abuse is treated as any other medical illness. Accordingly, if you have insurance, you are covered for some form of detoxification and support. The amount of coverage is reduced by deductibles and copays if applicable. Level III.2-D: Clinically Managed Residential Detoxification (e.g., non-medical or social detoxification setting). This level emphasizes peer and social support and is intended for patients whose intoxication and/or withdrawal is sufficient to warrant 24-hour support. Level II and level III patients benefit the most from some sort of inpatient or residential care. Following successful completion of withdrawal, a patient can be followed as an outpatient, a resident, or as an inpatient. For those electing to keep up their sobriety as an outpatient, the situation is called sub-acute care when coupled with a residential or medical facility supervision for detox. The Centers for Medicare and Medicaid describe subacute detoxification as medically supervised care provided in a residential sub-acute setting to manage the debilitating physical and emotional effects of withdrawal from alcohol and/or other drugs. 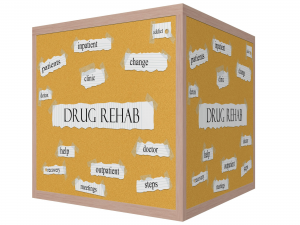 It is common for folks suffering from substance abuse to abuse more than one substance at a time. Frequently, alcohol abusers also abuse other drugs such as opiates. Services offered to patients be for 3 to 5 days. His and Her Houses offers industry leading Sub-Acute treatment programs. We were founded in 1994 and we base our programs on five key principles: commitment, honesty, integrity, respect, and service. These five principles guide us in all that we do and all the care we provide. Contact us today to see how we can help you or your love one at (888) 376-7268.